A few days ago, I shared our experiences on the first leg of our Canadian excursion that included Vermont and Quebec City. Now, for the second leg — and probably my favorite! — Montreal. Following our lovely St. Lawrence River cruise, my friend Donald and I hopped in the car and headed to the magnificent Montreal. After a two and a half hour trek, complete with the mandatory stop at Tim Horton’s, we arrived at L’Hotel in Vieux Montreal (Old Montreal). L’Hotel was so spectacular that it deserves its own description. When we got to the hotel, the staff informed us that our reservation had accidentally been canceled. Naturally, we became concerned, but the especially professional staff explained to us that there were other rooms and they would be able to accommodate us without a problem. Because it took five minutes or so to get everything arranged, the woman at the front desk offered to comp our valet parking. 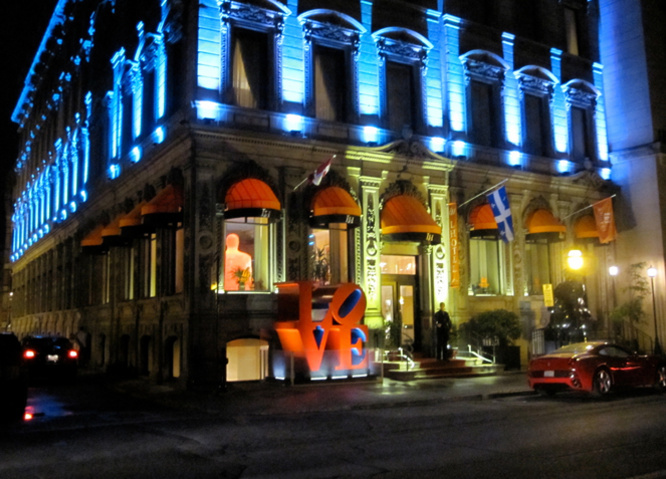 L’Hotel in Vieux Montreal, courtesy of the hotel. The hotel is a combination of Old World charm — fitting for the historic neighborhood — and modern, almost pop art, finishes. We had high expectations for our room — of all the places we stayed, it was the most expensive at $240 a night — but it far exceeded our expectations. Whether it was the plush linens and bedding, 20+ foot ceilings (by our estimation) or the Jacuzzi tub, we definitely enjoyed the luxurious accommodations. Coupled with the superb service (they even printed out our tour vouchers for me) and absolutely perfect location, both Donald and I cannot recommend L’Hotel highly enough. If you go to Montreal, you must stay here. After a quick nap and trip to the hotel gym, Donald and I headed to dinner at what is now one of my top 5 favorite restaurants in the world – Jardin Nelson. Located in the bustling Place Jaques-Cartier in Vieux Montreal, this gorgeous eatery has an expansive menu and the backdrop for a meal to remember. Unfortunately, the restaurant does not take reservations, so patrons wait in a line outside of the restaurant to sit in their gardens. After about half an hour wait, we took our seats inside the gardens, ordered cocktails and enjoyed the jazz trio playing the classics underneath the roof of canvas umbrellas. Everything we ate was absolutely delicious. It was an unforgettable dining experience and any visitor to Montreal should make a point to eat here at least once. 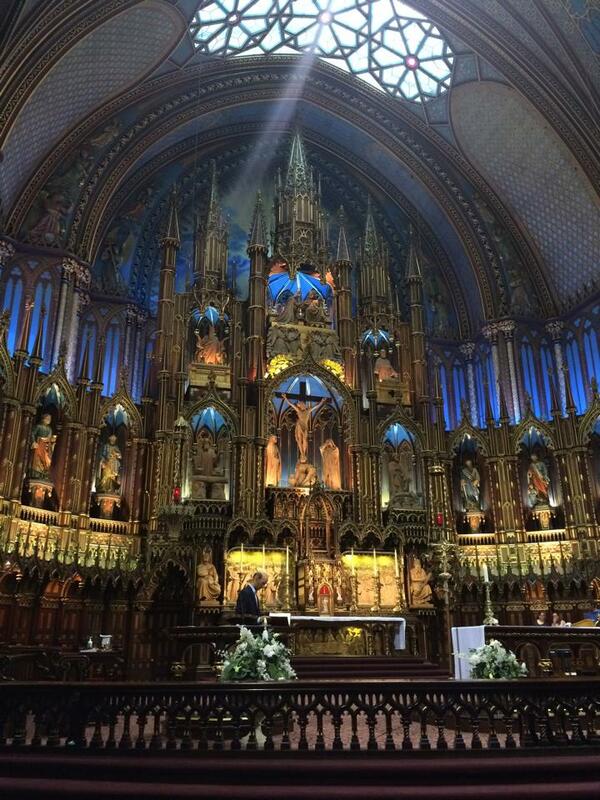 The next morning, I woke up early to attend Mass at the historic Notre Dame Cathedral. First, I stopped at a nearby cafe for un croissant avec du fromage suisse (croissant with Swiss cheese) and un chocolat chaud (hot chocolate). 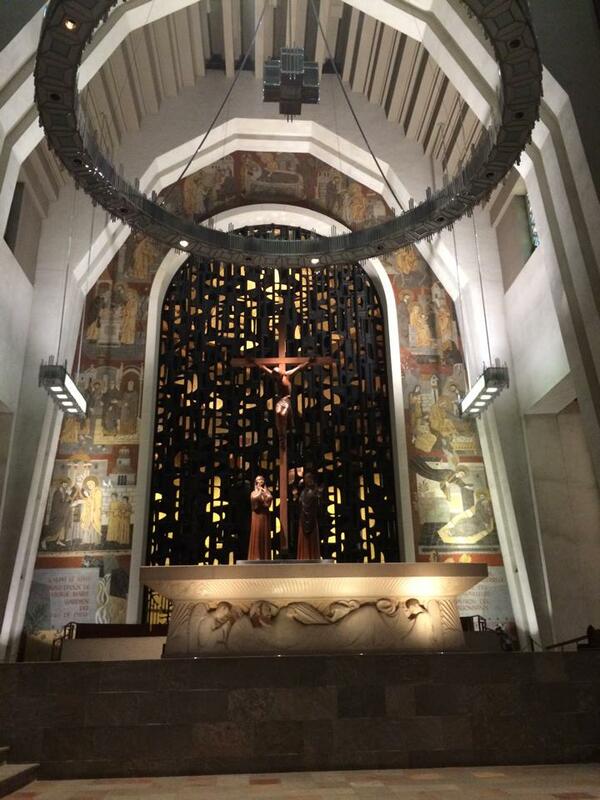 Then, I walked into one of the most breathtaking churches I had ever seen. After worshiping at the 350-year-old Cathedral in French (something I was stunned I remembered from years of French classes at Catholic school and my recent lessons in Washington, D.C.), I skipped the guided tour of the church and headed on a hop-on-hop-off bus tour with Donald. This was an adventure. As cheesy as these bus tours may seem, this one was a great way to become acquainted with this wonderful city. We ended up with three different tour guides. One was funny. One was strange. One was informative. Over the course of the four-and-a-half hour tour(s) we took on three buses, we didn’t make any stops until we arrived at what was probably one of the best parts of the trip — St. Joseph’s Oratory atop Mount Royal. The outside of St. Joseph’s Oratory. 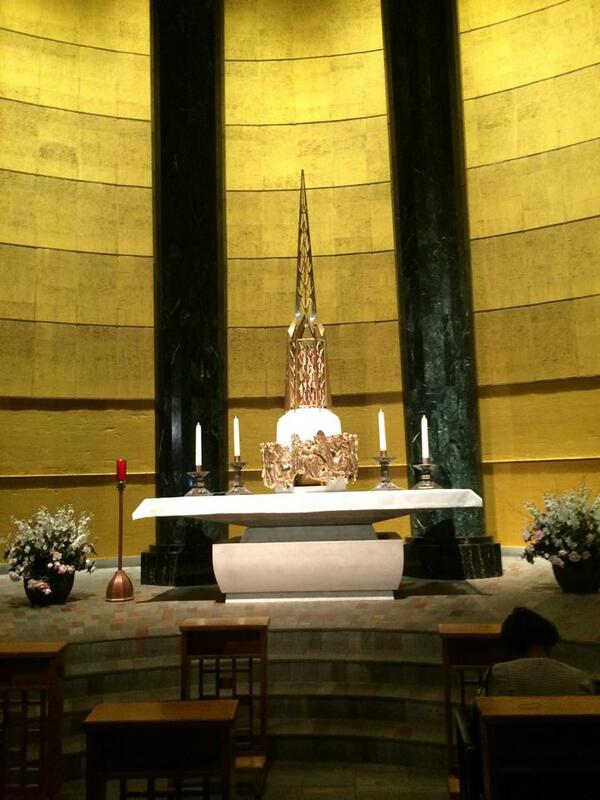 Altar at St. Joseph’s Oratory. 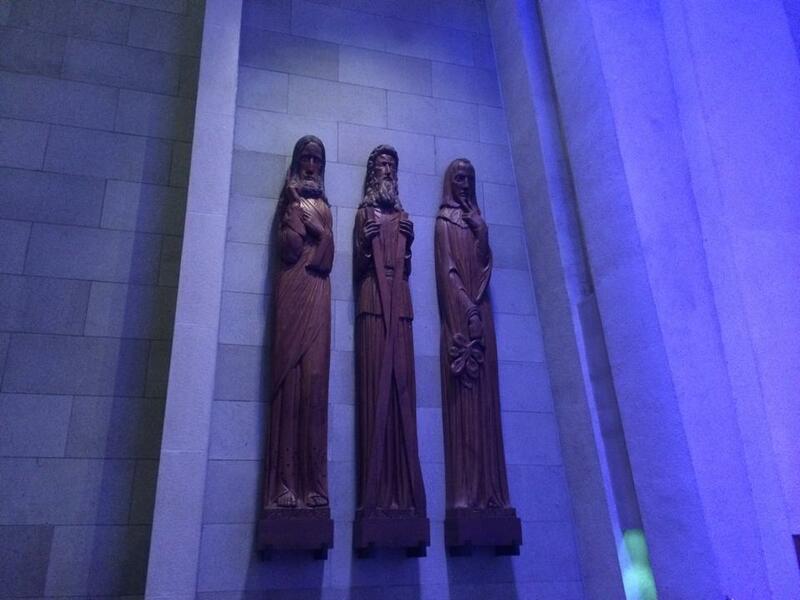 Groups of statues of the Apostles line the walls of St. Joseph’s Oratory. 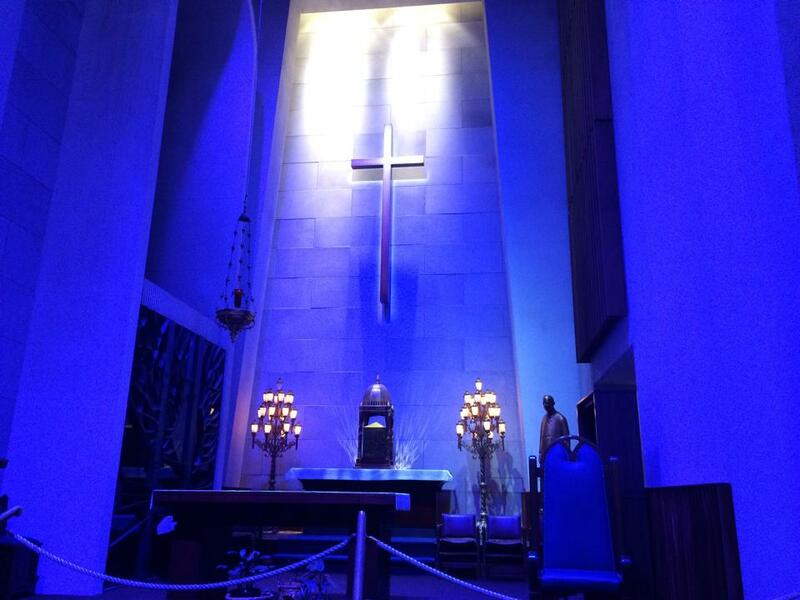 One of the many chapels inside St. Joseph’s Oratory. Another chapel inside of St. Joseph’s Oratory. 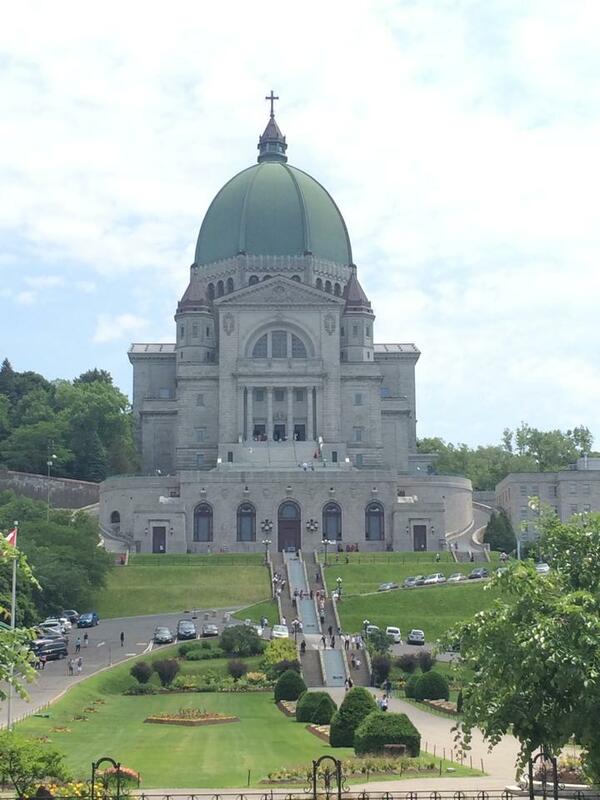 Visiting St. Joseph’s Oratory was an absolutely moving experience, even for a non-Catholic like my friend Donald. As a Catholic, I was totally overwhelmed by the thousands of pilgrims who came to this church for spiritual healing or in search of grace. Whether you’re a religious pilgrim, a history buff or a lover of architecture, if you have but one day in Montreal, I would implore you to visit St. Joseph’s Oratory. After our tour, we headed back into Vieux Quebec to go shopping. We heard from locals that there was an underground mall below the streets of the city, a rumor substantiated by tons of people on the Internet, so we tried — with little luck — to check it out. We found a Canadian version of a Macy’s, but we failed to discover the heralded shopping center we expected. Our attempt to find the shops brought us on the Metro, which was clean and connected the most important parts of the city. Tired and famished after a very full day of seeing the sights, we headed for a quick bite under the bright red umbrellas on the patio at Simpléchic Traiteur, which, according to its website, has a new name. We chose this restaurant because of its proximity to the Montreal International Jazz Festival, and we knew nothing about it before sitting down. We made a great choice. We had a few beers, le pain avec du buerre (bread and butter), plenty of fromage (cheese), fruit and a charcuterie board. We had a great waitress and the food was delicious. After our quick supper, we walked less than a block to the Savoy du Metropolis, a venue affiliated with the world renown Montreal International Jazz Festival. 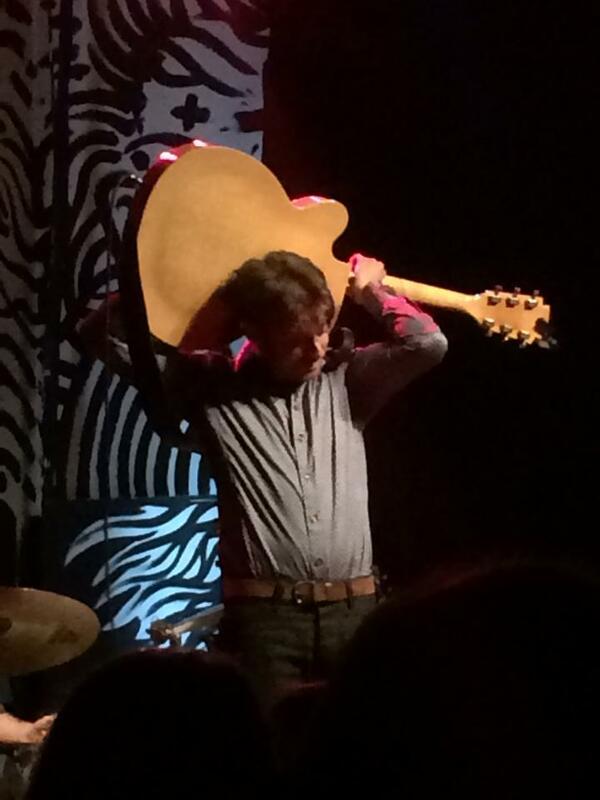 Prior to our trip, I did a bit of research about the musicians who would be performing at the two-week festival. As a lifelong blues fan, I was excited to discover a young Quebecois guitarist, Jordan Officer. Quebecois blues musician Jordan Officer at the Savoy du Metropolis at the Montreal International Jazz Festival. After the spectacular concert (and picking up some t-shirts from the souvenir tent), we drove to Ottawa. This is not only a chance to use language like a precocious tween, but it is also an opportunity to establish that, at some point in my remarkable life, I took le Francais (the French).